How often have we all cribbed about the fact that we are overworked? I guess despite the fact that we get to hear it ever so often; it’s not a REAL crib. We actually love the fact that we have enough and more to do. In someway being given more work to do seems to be something to be proud of for most (for all you know you might be the docile donkey that doesn’t throw tantrums!). Coming back, the realization that you NEED to work only comes during spells where you have none!! They say that work expands to fill available time; the converse in my opinion does not hold and time seems to be stubbornly in-elastic refusing to fleet when there is nothing to do. 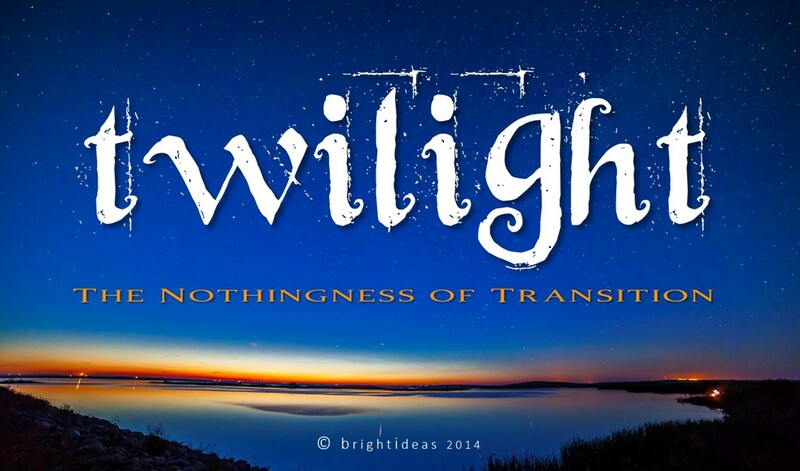 I have witnessed (and lately experienced) in professional/working life, what I’d term the nothingness of transition. This is the time span after a change (a role change/a change of job) where you are not expected to be contributing in a real manner in your new role. Well, that experience also reminds me of how life prepares you…the fact that you need to deal with the change. You need to make the first move and go and talk with the kid who acknowledges your presence, perhaps smiles and waves at you. The other option ofcourse is to wait till some kid makes that first move. Be that as it may, it’s twilight that signals the change, it’s neither day nor night.. ….and in this nothingness lies its tranquil beauty… the hues of dawn or even dusk with its soft sun…. one a symbol of a new beginning, the other a meaningful end.